… who officiated for more than 40 years on the beach of Moorea. Rich of this past, this bar has become an institution on the beach of Pampelonne. A unique outdoor atmosphere punctuated by the music and the tinkling of the glasses. Everyone will find his happiness to enjoy a mojito facing the sea! 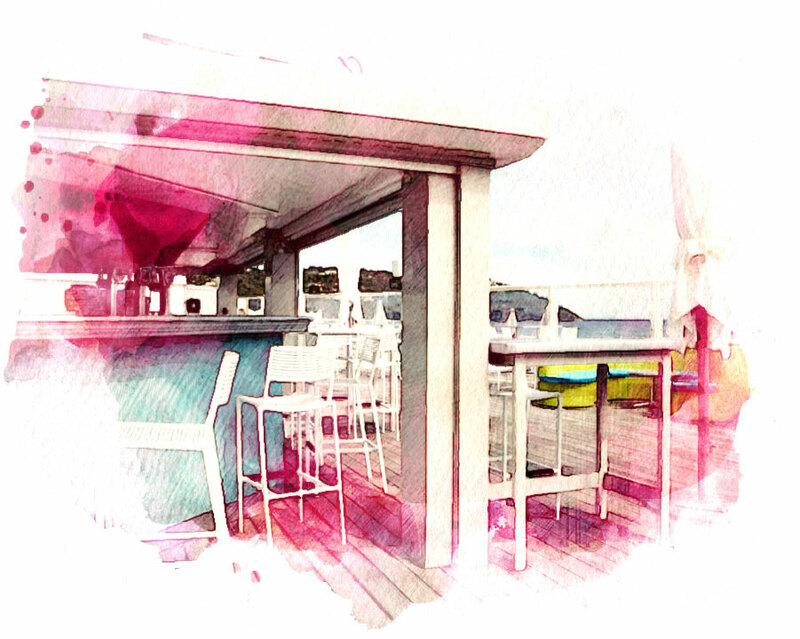 … by the music, the know-how of the bartenders is at your disposal to make your afternoon unique and magical after a lunch at the restaurant of the beach.